When I was a kid I used to go to Camp Widjiwagan in northern Minnesota, where we'd go on long canoe trips in the Boundary Waters and Quetico - the wilderness areas on the Minnesotan and Canadian sides of the border. Since then I've never been anywhere that felt as remote or as eerily peaceful. 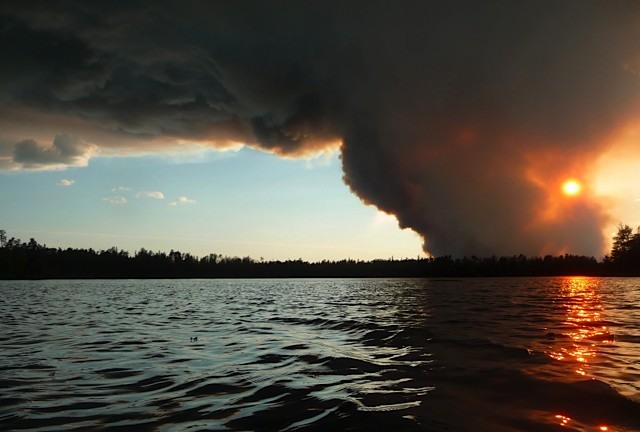 93,000 acres are on fire right now after a drought and a lightning strike, apparently the biggest fire in Minnesota since 1918.